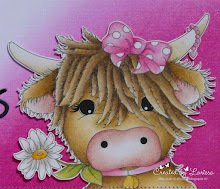 Goodmorning, I am Larissa from Car-D-elicious and today I am posting a new card on the blog from Gerda Steiner designs. This time I made a card for the monthly progressive challenge. 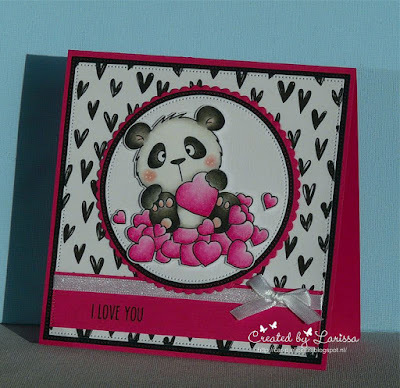 If you buy the image for this month Panda in love from Gerda Steiner designs and make something for the challenge, you automatically get next months image for free emailed to you. This month you have to make a card with the digital stamp Panda in love from Gerda Steiner designs. 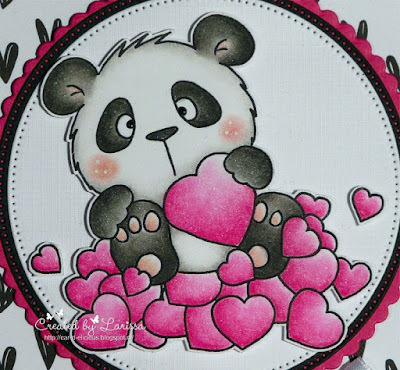 I have coloured the panda with my Polychromos pencils and the black glaze pen and then I have fussy cut the image. From pink, black and white cardstock I have die-cut a couple of circles with the Crea-nest-lies XXL 42, 50 and 53 from Crealies. 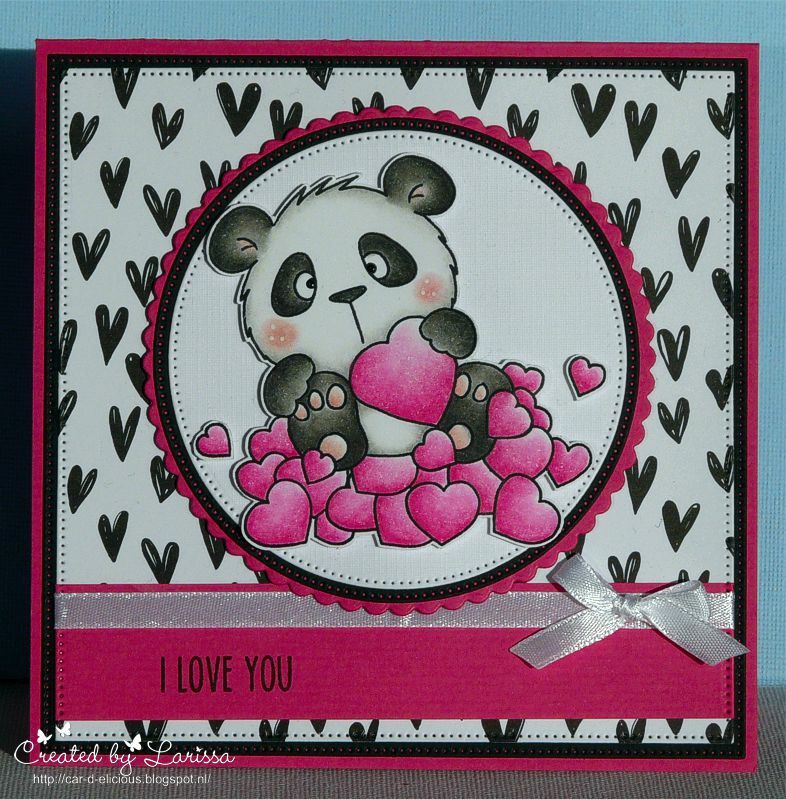 From hearts design paper from the Do what you love - Pretty paper bloc from Marianne design and black cardstock I have die-cut squares with the Crea-nest-lies XXL 41 and 49 from Crealies and I adhered those on a pink card. 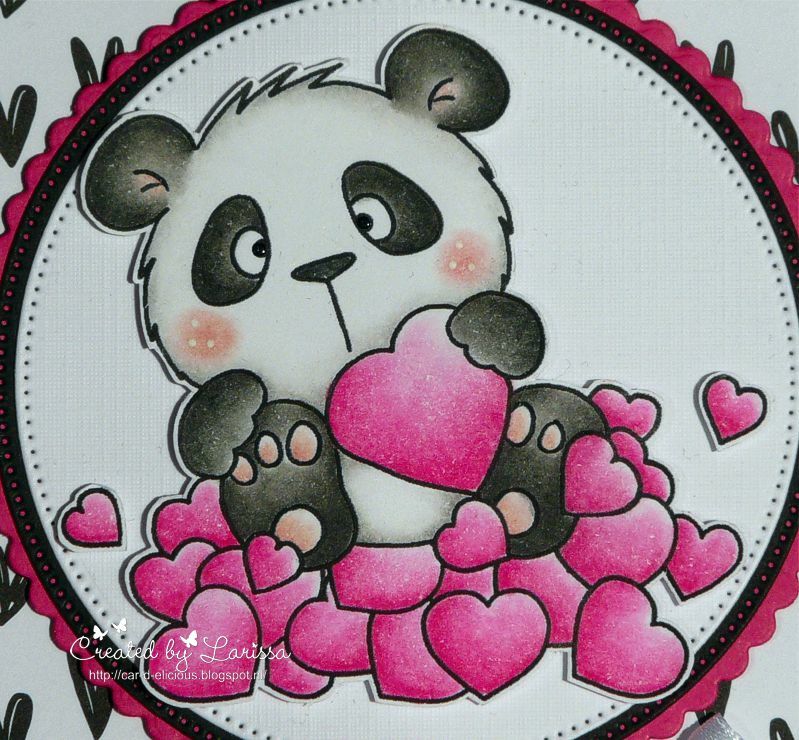 From pink cardstock I have cut a strip of paper. 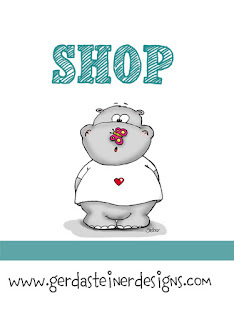 After I wrapped white ribbon around it, I have adhered it on the card and stamped a sentiment from the set Cool tag banner sentiments from Your next stamp on it. ACCESSORIES: Black glaze pen, white gelpen, white ribbon. How cute is he with his lovely pinky cheeks ! !